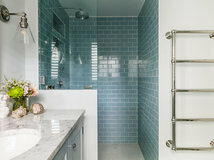 When it comes to storage, our Houzz professionals often come up with some pretty ingenious solutions. We’ve looked back over last year’s tours to showcase some ideas for you to steal for your own home. The owners of this Victorian home decided to turn their front reception room into a playroom. 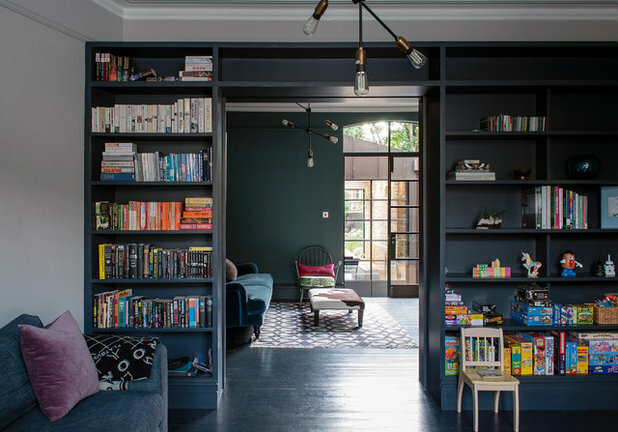 They needed plenty of storage for all the books and toys, so the designers came up with an idea that solved two challenges in one. They built a wall of shelving at the sides and over the top of the doorway, which provides bags of space for everything. 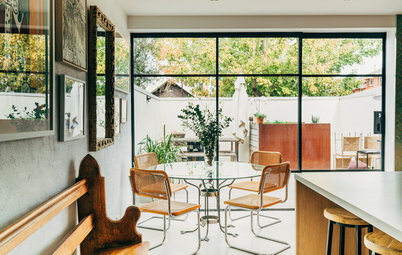 At the same time, it offers an easy way to incorporate sliding pocket doors, which can be closed when the owners want to separate the two rooms. 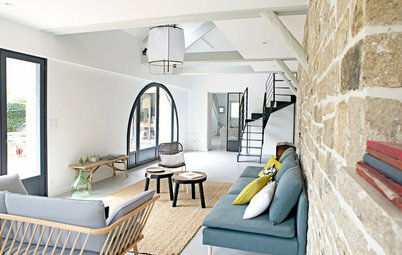 Take a peek at how two flats become one home. This piece of storage is both practical and beautiful. The designer commissioned her joiner to construct a shelving system for the owners’ generous drinks collection. 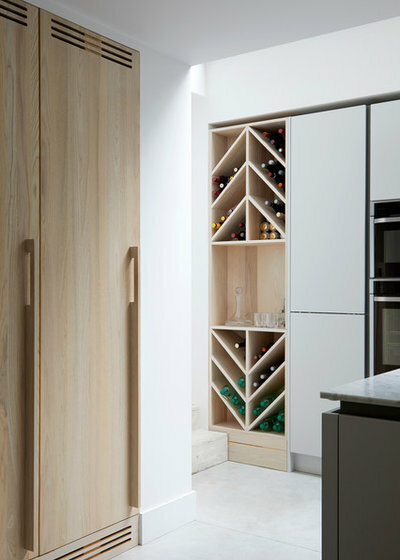 The slanted sections are ideal for holding a large number of bottles and cans, and there’s even a worktop in the centre for preparing drinks. 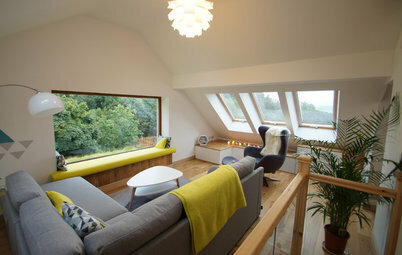 As well as providing bags of functionality, the unit forms a unique design feature in the room. Tour more of this calm, minimal home full of natural textures. 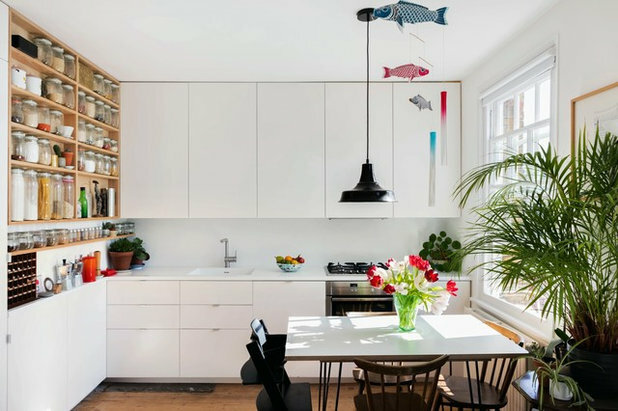 The owners of this kitchen went for cost-friendly Ikea cabinets, and made use of every millimetre of space. 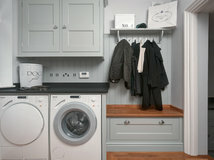 They fitted two wall cupboard carcasses on top of each other to maximise the storage. Then they installed a fridge unit door over each pairing to give the run a clean look. 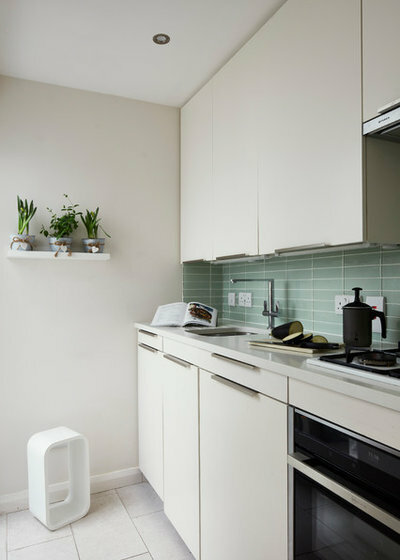 Visit the rest of this one-bed flat transformed into a two-bed home. The wall of floor-to-ceiling cabinets at the side of this room appears to be a standard kitchen cupboard. In fact, it’s been built to accommodate storage for both the kitchen and the hallway. it houses the oven, a fridge-freezer and kitchen equipment. The area to the left of the oven is accessed from the hallway via a sliding door, and is where the owners keep pushchairs and other outdoor items. 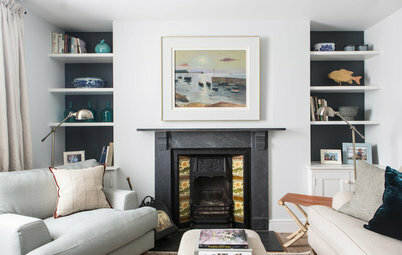 See more of this Victorian home with a smart layout and storage. 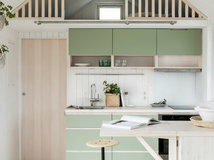 To grab some extra storage in this compact kitchen, the designer made one small adjustment. She raised the worktop from the standard 90cm to 1m high. The extra 10cm allowed her to fit slim drawers along the top of the base cabinets. 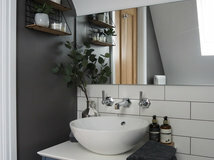 Of course, it’s important to tailor ideas like this to your own requirements – the owner of this house is tall, so a higher surface worked well. Take a tour of this tiny house made to feel bigger with smart design tricks. Dressing table surfaces can gather clutter, so if yours is a little messy, you might appreciate this idea. 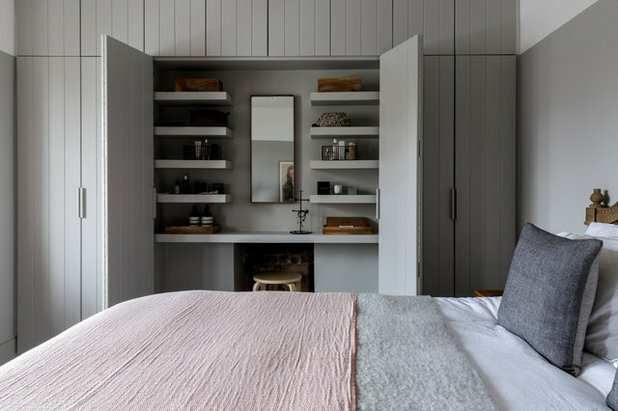 The designer fitted bespoke wardrobes either side of a chimney breast in his bedroom. 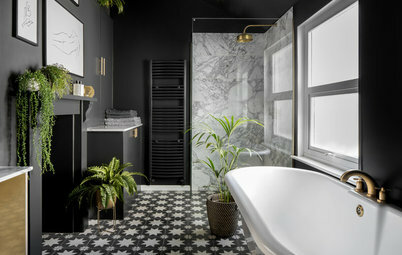 He made use of the shallow area in-between by creating a vanity space for his wife. She can use the area then close the doors to hide everything away. 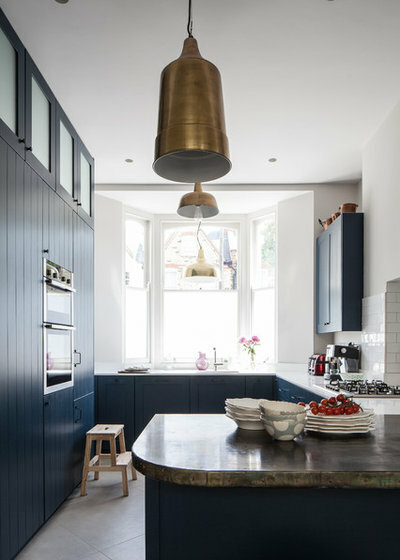 Check out the rest of this Victorian home with a double-storey extension. Here’s a nifty idea: the coat cupboard in this home doubles as a charging zone for digital devices. 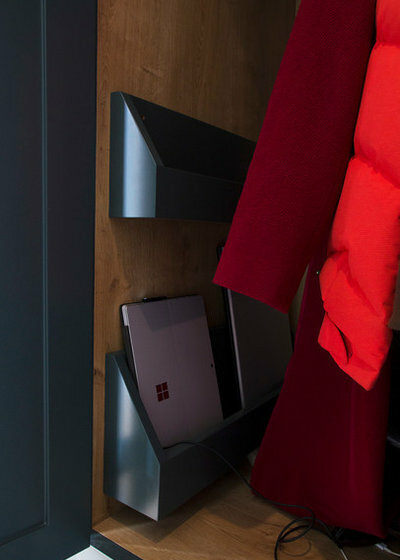 The design team fitted a few holders along the inside wall for storing tablets and phones, so the owners can charge them without cluttering up surfaces elsewhere. 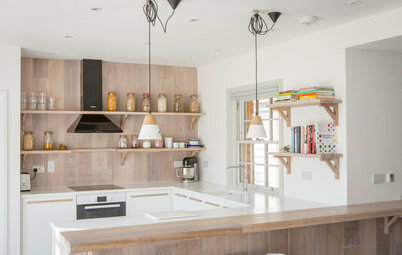 Have a look around this family-friendly Shaker kitchen with clever storage. If you don’t want your TV to dominate the room, a storage unit like this one might be the answer. The designer fitted the screen into a bespoke shelving unit, with doors that can be slid shut to conceal it when it’s not in use. 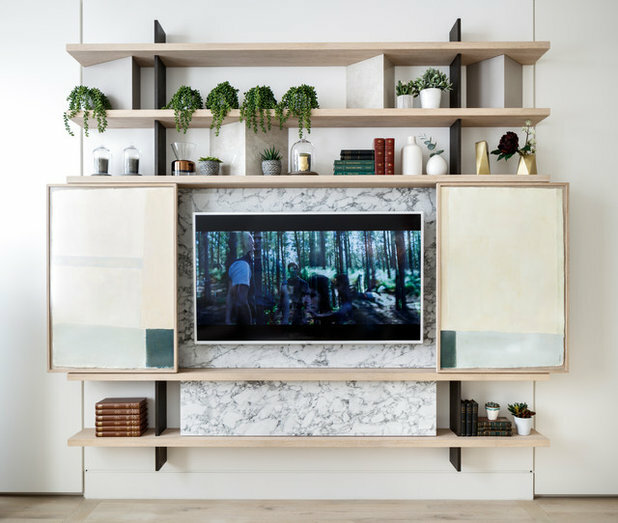 The imitation marble panel behind the TV replicates the coffee table surface, and hides the cables and internet connection. 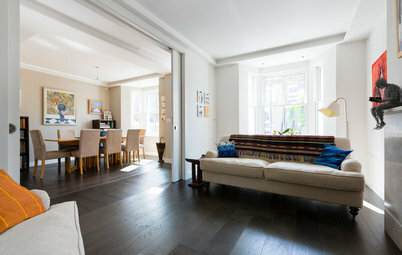 Find out how this bland developer flat gained class and character. 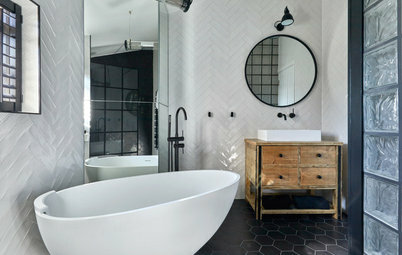 What was your favourite Houzz Tour of 2018? Did you steal any of the ideas? Share your thoughts in the Comments section. Markfedwards29, as I said, we don't have a TV and live in France, so I'd have to look for hints & tips sites like this! 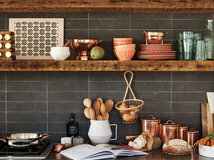 I keep my food preparation area pretty clean, but that doesn't prevent having to apply vinegar and bicarbonate to the bit of open shelving and its contents more often than I'd like and less often than the shelving behind glass cupboards! 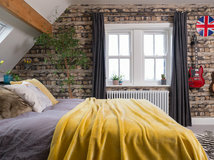 Property What Happens When You Hire a Loft Conversion Specialist?